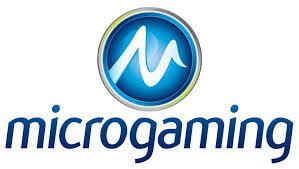 Microgaming Software Systems Ltd is a company that was founded in 1994 and is one of the largest privately owned game provider of the online gaming industry. Not only do the create and distribute excellent video slots but they also offer Poker, Bingo, Sportsbook and Live Dealer to casino and sportsbook operators. To this day this provider has created and distributed over 850 games in 1200 variations. This company always had a pioneer vision. They were one of the first software providers to recognise the potential of cross-platform games and to develop mobile and tablet friendly slots. Their mobile game portfolio now contains over 350 titles. Not only this, but Microgaming was also one of the first corporate identity to acknowledge the importance of rewarding players for their in-game achievements and developed bespoke API with gamification mechanics which means that they quickly created a very loyal player base. Following this innovation, many other online game providers followed their initiative. Microgaming holder of a prestigious Guinness world record which was awarded to them after John Heywood, a lucky player from England won the staggering £13.2 jackpot on Mega Moolah in 2015. We’re certain that if they were a Guinness world record for the most distinguish company, they would own it too. Since the company was founded they have received a total of 42 awards for the excellence of their multiple products. Even if this software developer is worth millions, they are still humble and they love to give to the less fortunate. They have often been known to give large sums to charities in their local communities of Isle of Man and South Africa via their pay it forward foundation. This provider is also a founding member of eCOGRA (e-Commerce Online Gaming Regulation and Assurance) which sets the standard in fair play and in responsible gaming. Many online casino operators consider them as the gentle giant of the industry and their involvement in multiple causes sure proves their gentle nature. Are their games available worldwide? Microgaming games are the favourites of many online casino players. This is because they are widely available and only a few countries (USA, France, Italy, Spain, Denmark, South Africa, Singapore) do not have access to their game portfolio. One of they key success which contributed to their popularity is the fact that their video slots can play in the player’s local currencies and language! Indeed their games are available in 45 languages and 25 different currencies. What are their best performing games? They certainly are outstanding negotiators and they hold the copyright for the Terminator Franchise, Bride’s maid, Game of Throne and Jurassic Park. The most popular games distributed via the QuickFire (their back end platform) is without a doubt Castle builder, Forsaken Kingdom: The Path of Valor, Immortal romance, Mega Moolah and Thunderstruck. What about their 2017 roadmap? Like most game provider Microgaming too is cautious when announcing game releases. However, they have promised a sequel to Jurassic Park and Castle builder which should be released at the end of the year. In January 2017 they have also announced that they had reached an agreement with another major franchise and that towards the end of the year they will release a video slot inspired by the Phantom of the Opera. Where can you play their games? Because this software developer games are restricted in so few markets and also because they are associated with so many independent games studios, they are often one of the first game providers to be integrated to new online casinos. So, if you wish to play any of the games we’ve mentioned in this article you should consider visiting HelloCasino, InstaCasino, Casumo or Risk casino who all are official distributors. Want a bonus and play Microgaming games? We’ve got it covered! Visit our bonus section and get all the latest no deposit required and welcome bonuses we’ve negotiated exclusively for our players. Make sure to carefully read the terms and conditions of an offer before claiming it because some games may be excluded from the wagering requirements of a bonus if they have an achievement builder feature it in. Have fun and best of luck!